These tomato seeds are a very fine producer of rusty-pink fruits. A variety of shapes, but most are globes at about 6-8 ounces. Just the right size for salads or snacking. Heirloom Seed Packet. Very fine producer of rusty-pink fruits. A variety of shapes, but most are globes at about 6-8 ounces. Just the right size for salads or snacking. 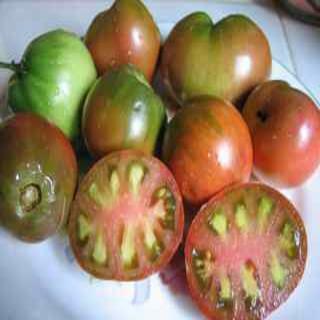 This tomato is similar to Black Krim, but many folks say they think that the flavor is better.